On the 4th June 2018 an exhibition Armoured Wings / Pancerne skrzydła was opened. 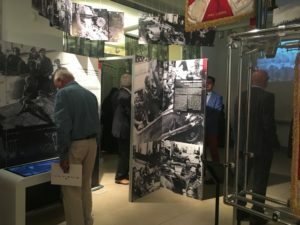 Its prime movers and producers are: Dirk Verbeke, President of the 1st Armoured Division Association in Belgium, Yves Wantens, General Representative of the Government of Flanders in Poland and Ryszard Mozgoł from the Katowice Department of the Institute of National Remembrance. The perfectly designed Catalogue helps in getting to know the unique exhibits, collected thanks to cooperation with Polish and Flemish institutions and collectors. Occasional speeches were delivered by: Geert Bourgeois, Minister-President of the Government of Flanders, Piotr Gliński, Minister of Culture and National Heritage and Jarosław Szarek, President of the Institute of National Remembrance. 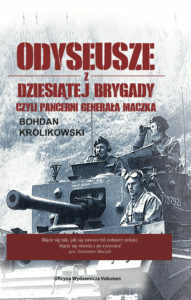 At the inauguration of the exhibition and the preceding ceremony, held at the monument of the 1st Division, took part, among others, ex-combatants of the 1st Armoured Division led by Major Janusz Gołuchowski and the soldiers of its heir, the 11th Lubuska Armoured Cavalry Division from Żagań – with its Commander general Stanisław Czosnek. Present were the mayors and representatives of Flemish towns liberated by Maczek, the Ambassador of Belgium in Poland Colette Taquet and the Ambassador of Poland in Belgium Artur Orzechowski. The exhibition is open to the public at the exhibition hall of INR „Przystanek Historia”, Warsaw, ul. Marszałkowska 21/25. Open all week 9-20 and on Saturdays 9-14, until the 28th July 2018. It then will be transferred to the Museum of II World War in Gdańsk.